The market for specialized cleaning products is huge. A walk down that aisle in the supermarket will tell you that there is a “special cleaner” for almost everything! Cleaners which purport to remove blood, gravy, grease and even dye are littering the shelves, and they don’t come cheap either! The fact is that while some of them are possibly excellent at the job, there are other, far cheaper substances which can be highly effective, and most of them will probably be under your kitchen sink or in your larder! Here’s a list of everyday home items that can be used as effective cleaners. Baking Powder: Baking powder is a highly effective cleaner when mixed with other ingredients, and it’s also an amazing deodorizer. If your cushion or sofa covers smell less than sweet even after cleaning, it can be hard not to feel tempted to get rid of them! Some spillages can leave behind nasty smells, and this is very unpleasant for anyone sitting down! For a quick fix that really works, we’d advise you at furnishinghomes.co.uk to remove the offending cover and place it in a plastic bin liner together with half a cup of baking powder. Firmly secure the bag with a knot, and then, give the whole thing a vigorous shake. Leave overnight, returning to shake periodically. The next day, remove the cover from the bag and vacuum all traces of powder from the surface. The odors should have gone because baking powder absorbs smells very quickly. If there is still a trace of the odor, simply repeat. This tip works on smelly trainers too! Soda Water: An excellent stain remover, soda water, even works on red wine and coffee! 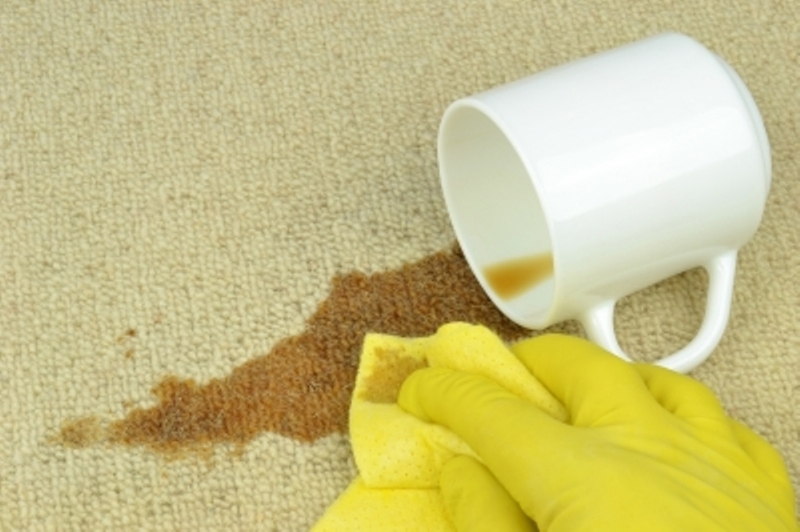 Pour the soda water neat onto the stain; this works best on very fresh stains. The carbonated water lifts the particles of wine, coffee or other substances out of the fabric and to the surface where you can mop it up. Dab the fabric firmly with a clean, white cloth after pouring the soda on to the stained area, and the majority of it will be removed instantly. Sunlight: That’s right! Sunlight is the most amazing remover of discoloration and faint stains that you’ll ever come across and it’s completely free! It’s especially good for delicate or antique fabrics which you would rather not soak. Simply hang the fabric out on the washing line, or lay it on a clean sheet flat on the lawn, and leave it for about five hours. Lemon Juice: Lemon juice is a wonderful natural bleach, and when your whites are less than white or you’ve got a nasty stain, soak the offending fabric in a solution of warm water with one part lemon juice and three parts water. Leave for no longer than one hour before checking on progress. Vinegar: White, distilled vinegar can be excellent as a general brightener when used in the rinse cycle of the washing machine. It removes old soap residue which can cause your upholstery to look dull or faded. It’s also excellent for removing old stains. Soak items in a mixture of milk and distilled vinegar for three hours, and you will see a huge improvement. Cleaning products which are loaded with chemicals are not only expensive but they are also bad for you and the environment. Making a switch to natural products isn’t difficult, and you can make up your own “products” in advance because most of the ingredients used will store very well for quite some time. Organic, less expensive, and long-lasting? What more could you want?